PennsylvAsia: Movie & Mumble with 1996 Japanese film Shall We Dance (Shall we ダンス? ), February 10 in Cranberry. 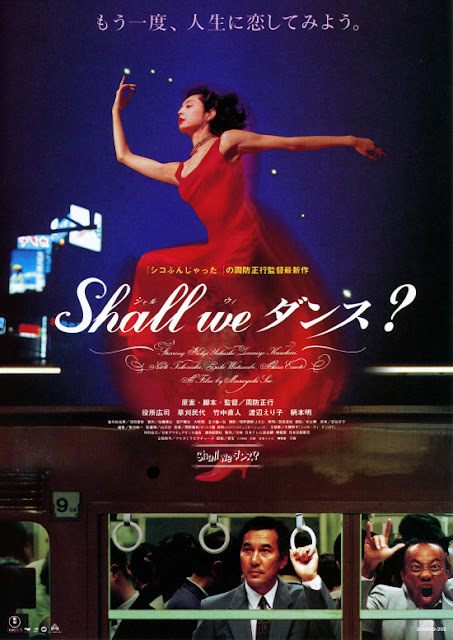 Movie & Mumble with 1996 Japanese film Shall We Dance (Shall we ダンス? ), February 10 in Cranberry. The 1996 Japanese film Shall We Dance (Shall we ダンス?) will play in Cranberry as the year's first installment of the Movie & Mumble series hosted by the Cranberry Area Diversity Network. He's an overworked accountant. She's an accomplished dancer. Passion is about to find two unlikely partners. The 1996 Japanese romantic comedy “Shall We Dance?” will launch the 2018 Movie & Mumble series. No reservations are necessary. The PG-rated feature, with English subtitles, will be followed by an open discussion led by Elena Geil, a former resident of Japan. The movie was originally scheduled for January 13, but inclement weather caused its cancellation. The event runs from 1:00 to 3:00 pm at the Cranberry Public Library (map), and is free and open to the public.